Wow, what a great presentation. The first pic looks as though it should be on one of those holiday cook book. So yeah...apparently you do have the same gift for decorating when it comes to Christmas stuff! Thanks you guys! I really try. It has taken me awhile to perfect stuff, I am probably older than you guys, so I have been doing things awhile. I love looking at other people's stuff, and at magazines ...to get ideas. There's tons of things I wish I could do better, but you run out of time on everything. Green Elf-the first picture, are just peanutbutter bon bon things, they have butter, powdered sugar, vanilla and peanutbutter in them...they are the easiest thing to make, and really good. 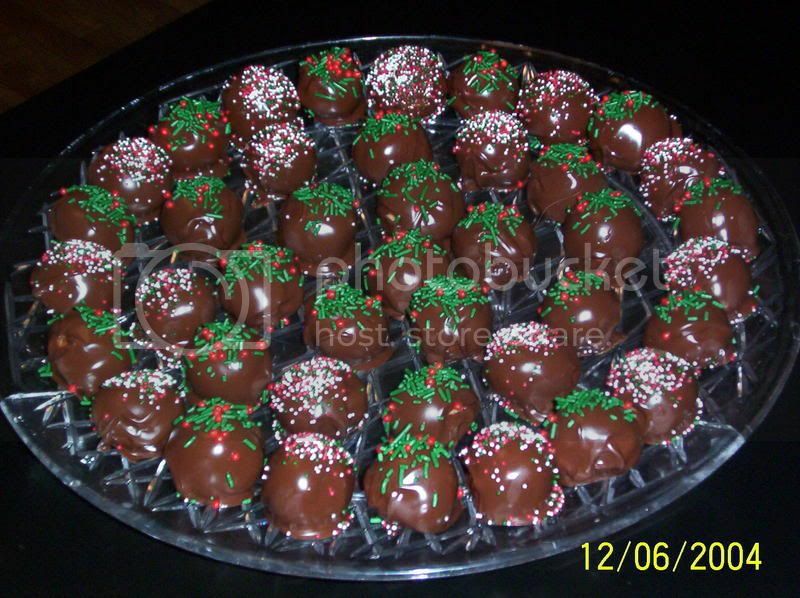 Then you dip them in chocolate...which the secret to making good chocolate is just adding a gob of Crisco, and melt it over a low heat...then you sprinkle them with Christmas sprinkles. snow flake you are an ARTIST..the food, the decor are perfect...are we in on the ground floor of the next Martha? Dudley- I did have a friend that use to call me "Gabby Stewart"...he said I was Martha's little sister that never shuts up. LOL Snow-flake!! You ARE the master decorator!!! Thanks Hooch! I am looking forward to taking lots of pictures this year. I haven't totally decided what all to make this year , and I wanna have a Christmas party too...but haven't got that far ahead yet. But...I probably will have one. You just gotta do it. It only comes once a year, and who cares what it costs...you can't get time back, so I am sure I will get the party plans working on. 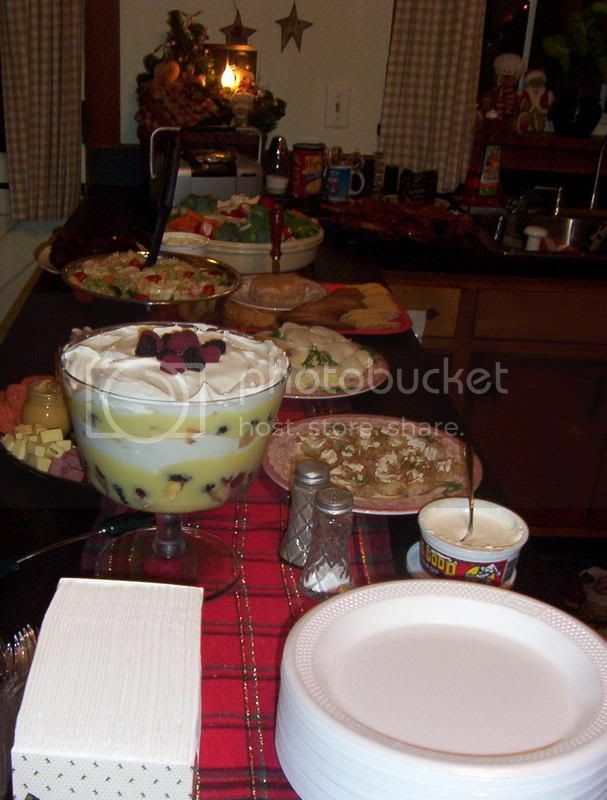 Real nice photo, OOOHHhhhhhh my sweet tooth tells me to take a big bite it just looked so good. By the way you might want to check out this link I am adding here. It is for a one million recipe CD. 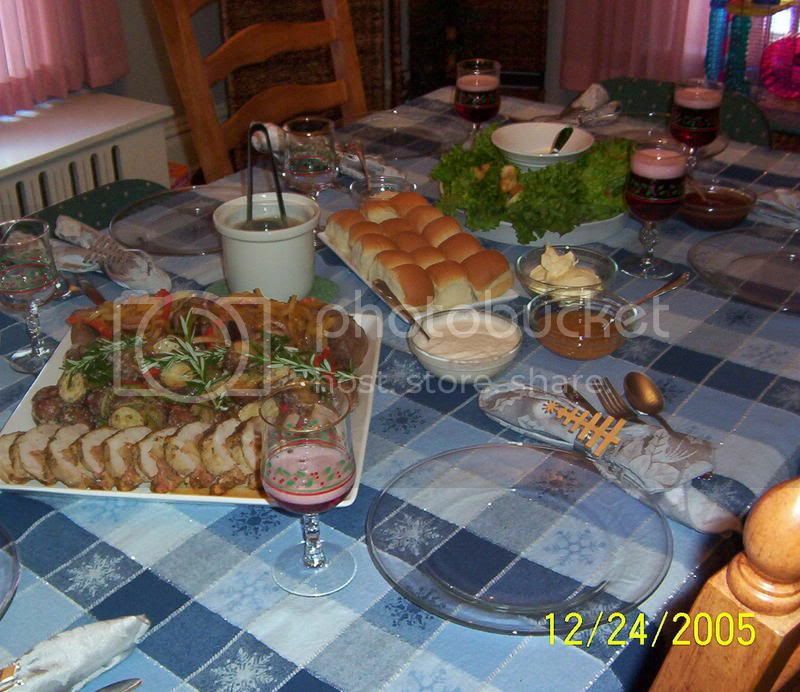 My wife and I use the CD year round for lots of good stuff and there are countless thousands and literally thousands of Christmas recipes for all assortments of dishes and sweets. The recipe CD is real super easy to use and well worth having a look see. Snow-Flake, your pictures are lovely.